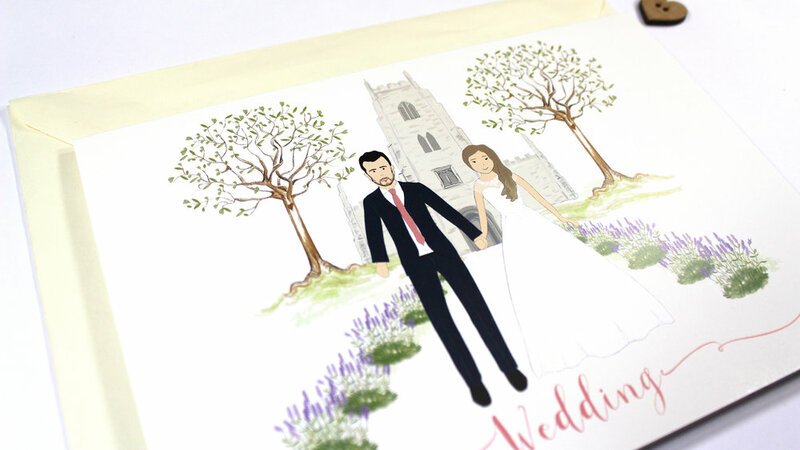 Megan and Sam wanted to include an illustration of them both in front of the Church where they were due to marry. 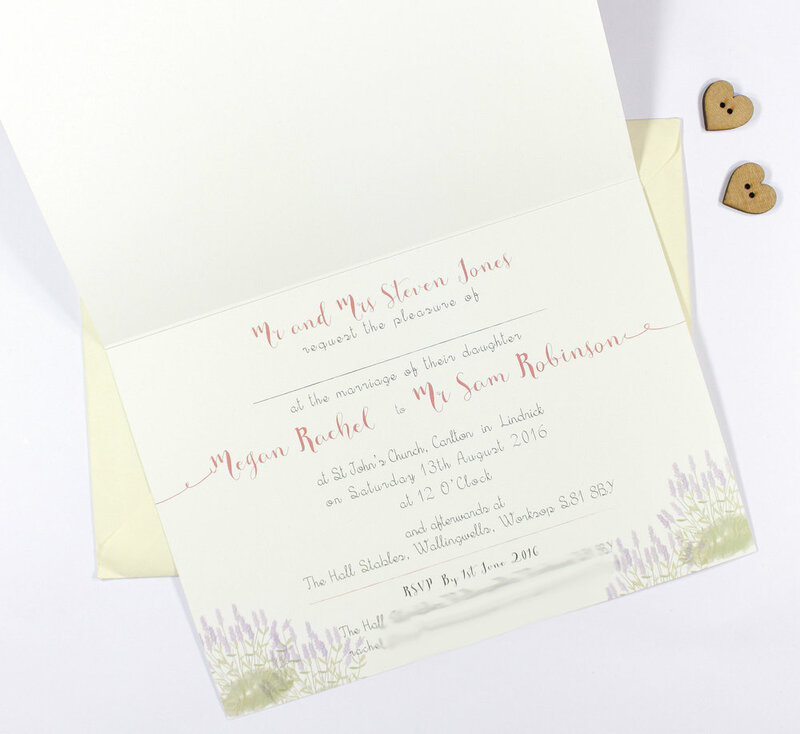 They asked for an ivory overall colour and to include an illustration of sprigs of lavender and dusky pinks. tent cards. A5 folded Order of service. All using the lavender theme. 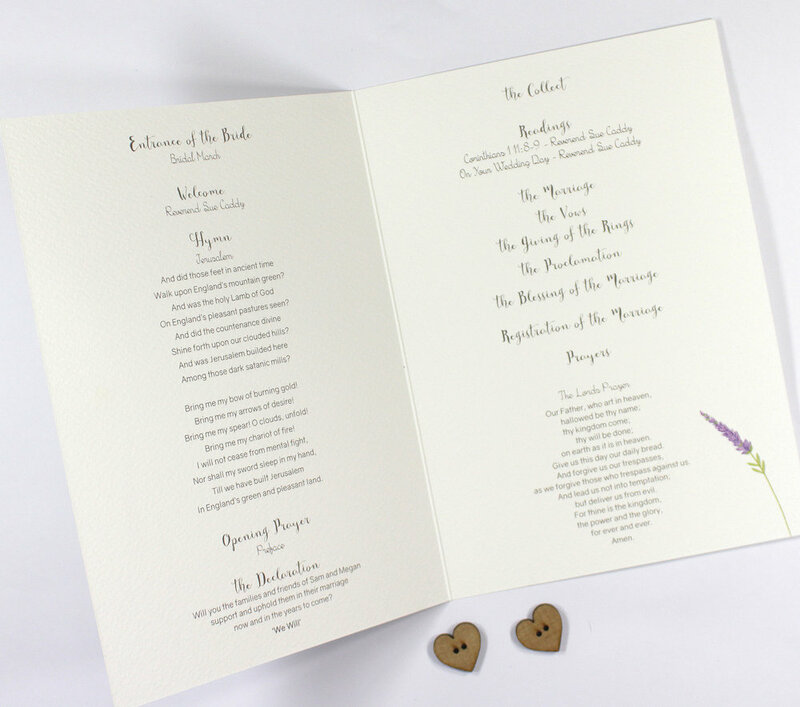 for the Order of service, place name cards & table plan cards.